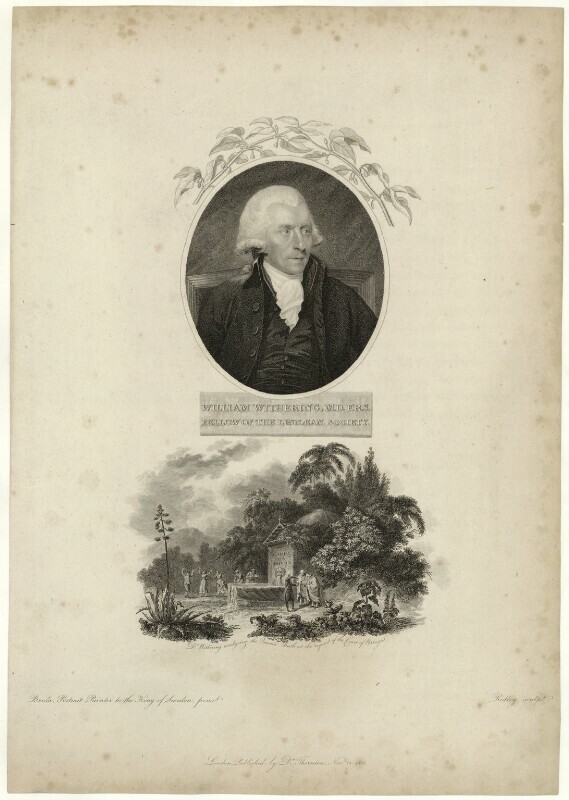 William Withering (1741-1799), Physician and botanist. Sitter in 2 portraits. Carl Fredrik von Breda (1759-1818), Artist. Artist associated with 12 portraits. William Ridley (1764-1838), Stipple engraver. Artist associated with 102 portraits. Robert John Thornton (1768-1837), Physician, writer on botany and publisher. Artist associated with 48 portraits, Sitter in 2 portraits.